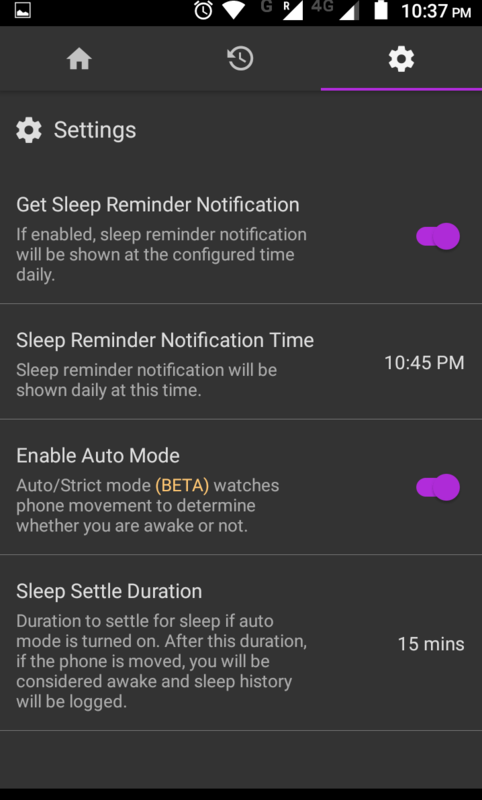 Auto mode watches for phone movement to decide whether you are asleep or awake. 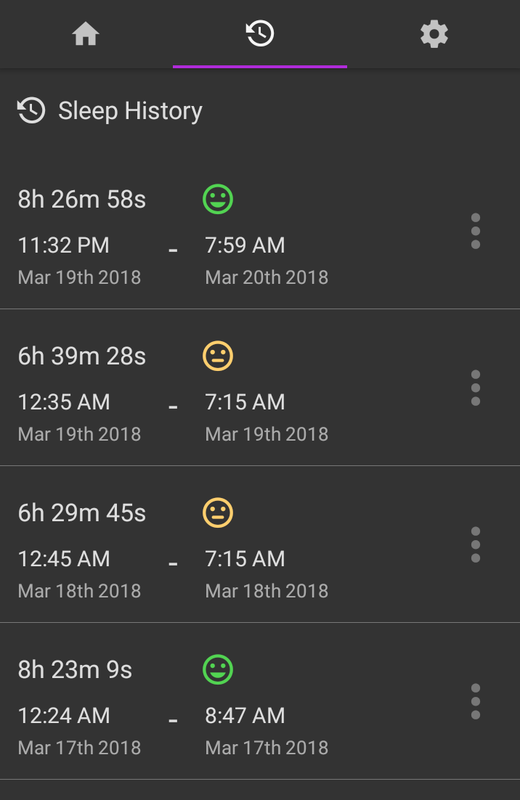 Get sleep reminder notification daily at a configured time. 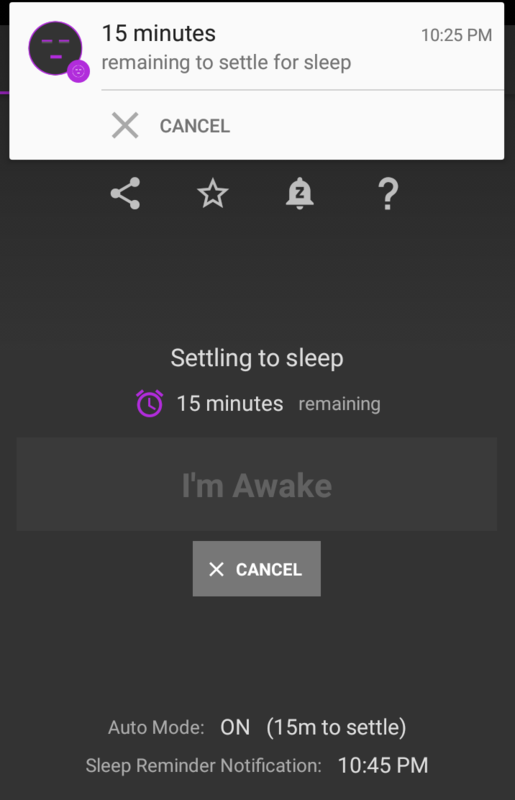 Do the entire process right from the notification area without even opening the app. Your feedbacks are highly appreciated. You can give feedbacks through app store, or taking this short survey. You can also send an email directly to me at [email protected]. 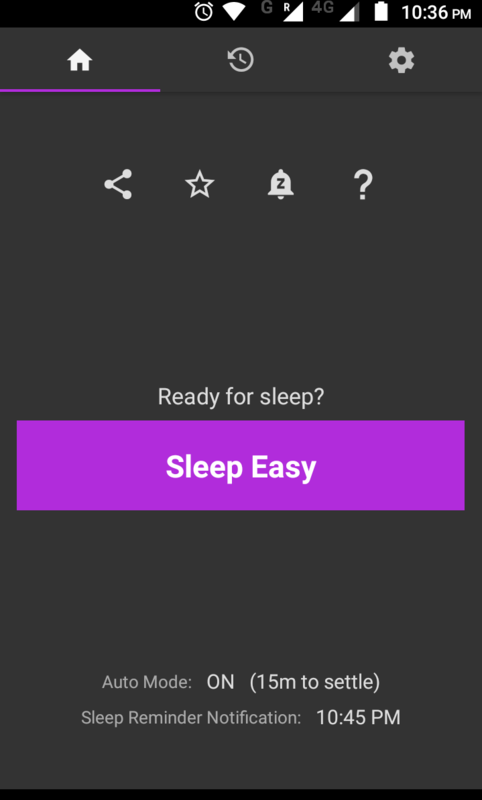 Sleep Easy is created to easily track your sleep for better health. Your feedbacks are highly appreciated and will help in the evolution of the app.